At MoMu Antwerp, the expo Rik Wouters & The Private Utopia opens this Saturday. Rik Wouters was a Belgian artist (° Mechelen 1882) in whose paintings enchanting homeliness is a recurrent theme, as well as the intimate feeling of sanctity between him and his wife Nel. Both themes form the premise of a brand new exhibition at MoMu. If there’s one city in Belgium that almost literally breathes fashion, it must be Antwerp. ModeMuseum (MoMu), the city’s fashion museum, is a beacon in the trendy Nationalestraat, the pounding heart of Antwerp’s fashion district. The MoMu belongs to ModeNatie, housed in a building that was originally constructed in the 19th century as a department store for the New England Menswear and Children’s fashion shop. After a thorough renovation in 2000, led by the Ghent architect Marie-José Van Hee, the MoMu opened its doors in this building in September 2002. 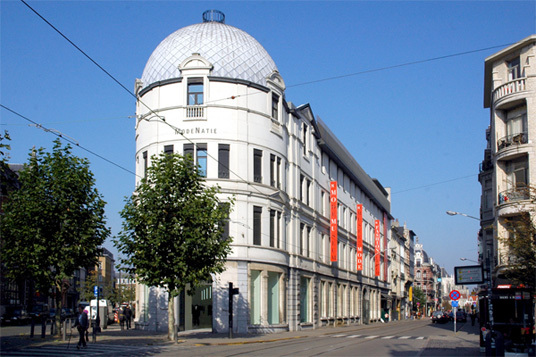 ModeNatie also houses the Flanders Fashion Institute (FFI), the Fashion Department of the Royal Academy of Fine Arts-Artesis Hogeschool Antwerp and the Copyright Bookshop. Twice each year, the MoMu presents a new exhibition, based on its own collection of 25.000 pieces and completed with loaned works. The expositions might tell a designer’s story or focus on a fashion-related theme. The MoMu doesn’t have permanent displays, but rather offers a varied program focusing on the different dimensions of the fascinating world of fashion. A world that is waiting for you to be discovered!